Character extracted from this picture. Its simple. After I extracted her, I use black and red background, then I add some space, glitter II, n white flame brushes. 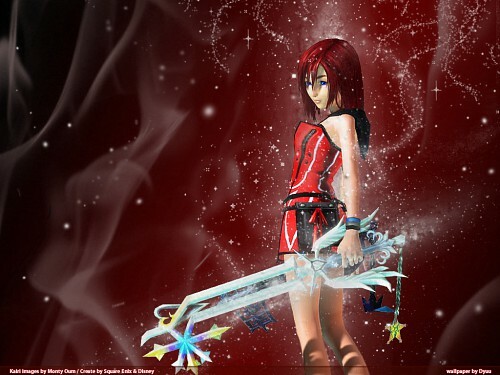 I also use 'sharpen mode' on Kairi pict. i do like the overall wall, but Kairi seems kind of...poorly rendered around her head or something. is that what sharpen does? The red background and the wavy white smokes adds to the effect. This is beautiful man, really something.